Virgin Media has been announced as the biggest culprit for causing broadband blackouts, following a new study by consumer champions Which?. The research found that one in six Virgin Media customers reported they had been without broadband for hours or even days at a time. To put that in context, only around one in ten customers from other providers such as BT Broadband, Sky and TalkTalk suffered cut outs for long periods. The survey revealed that the worst offender for leaving customers with a long wait for engineering was SSE. While regulator Ofcom says consumers experience about 7.2 million service quality failures each year in their broadband and landline services. 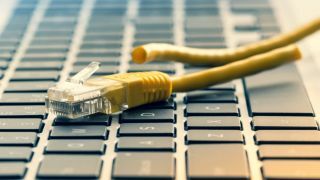 "Broadband providers must improve their service"
It follows the commencement of a new compensation scheme that entitles consumers to receive compensation for poor service from internet service providers, which could mean consumers are paid up to £126 million in compensation per year. And it's never been easier to switch providers if you don't believe that the service you're getting is up to scratch. Check out our guide to the best broadband deals in the UK (or simply cast your eye to the price comparison below) to see what the cheapest offers out there are.